Thanks to everyone who chimed in on my sleeping issue, on Monday. I am happy to report that we only got up 3 times the next night! We’re making progress. So Friday Favorites… I’ve got some good ones for you. m ates), but let’s just say I was laughing out loud pretty early on. Zooey Deschanel is darling and there’s just a lot of funny content. My personal favorite character is Schmidt, because I love his vocabulary and the way he pronounces words (like “fritata… he really hits every “t”). There is some racy content thrown in there, but for the most part I totally recommend it. 2. Orzo broccoli side dish. I’ve made it twice this week. Enough said. It’s the perfect side dish for any simple grilled meat. I follow this recipe, but then also sprinkle on a little extra cheddar and shredded parmesan at the end. Muah. So good. And I always use frozen broccoli but thaw it and rough chop it so you’re not dealing with HUGE pieces. 3. Today is a Miracle “Don’t Waste Your Motherhood” t-shirt. 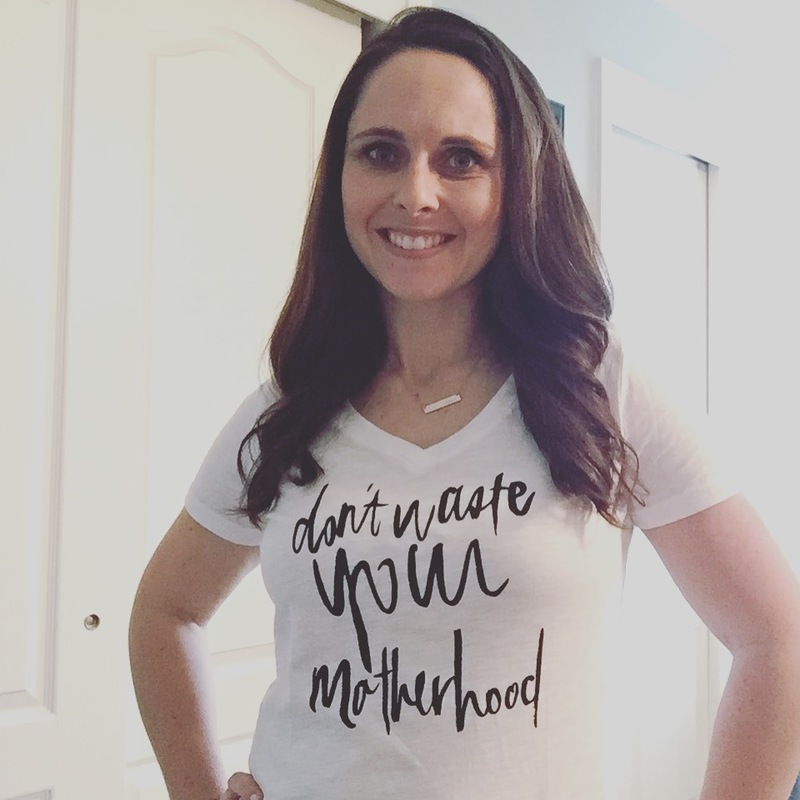 I found out about this company because the owner is a new listener (hi, Tahnie), and she created these shirts to fundraise for Cystinosis, a disease that she suffers from which led to her needing a kidney transplant 20 years ago. I love buying things that also contribute to a good cause. So once I found out about these shirts, I quickly ordered one and I LOVE it. I love the message and I love the fit of the shirt (I got a size medium, but typically where a small). They also have shirts that say, “Today is a Miracle,” which is also a message I fully support. GUESS WHAT!?!?!? Tahnie is so kind to be offering 20% off to podcast listeners! Share the show with a friend and then you can use the code “MOMCAST” to get 20% off your purchase. You know you want to be matchy-matchy with me. Those are my favorites. Thanks for checking in and I’m excited to bring you another inspiring episode on Tuesday. Have a great weekend!